Depression is a mental illness that is characterized by negative thoughts and behaviors. Mental illness is a worldwide epidemic. According to the World Health Organization (WHO) data shows that mental disorders account for 4 out of 10 leading causes of disability worldwide. In 2020, major depression will lead the pack of mental illness as the cause of disability among women and children across the globe. The National Institute of Mental Health reports that 25% of adults and 10% of children experience mental illness each year. Mental illness, such as depression, is one of the most common health problems. Food is the fuel to the system and it can also make us feel good which means that food can influence our moods too. Here are some fruits that can reduce depression. 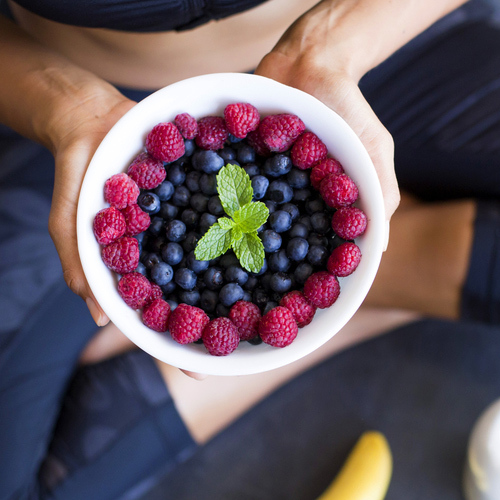 Berries are full of antioxidants that support the proper functioning of the brain and improve the cognitive function. They are very efficient against depression. They promote positive energy, also stimulate the production of "feel-good enzymes" in the brain.